Lady and the Blog → Living → Product Reviews → A Look At The Maleficent Product And Toy Line: Are You A Fairy, A Witch, A Princess? Or All Three? 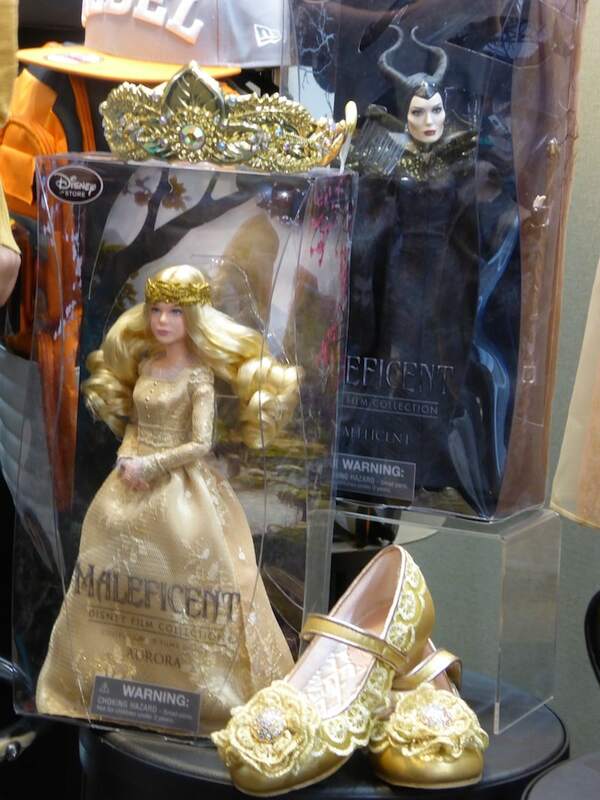 A Look At The Maleficent Product And Toy Line: Are You A Fairy, A Witch, A Princess? Or All Three? So many images to share. SO MANY. 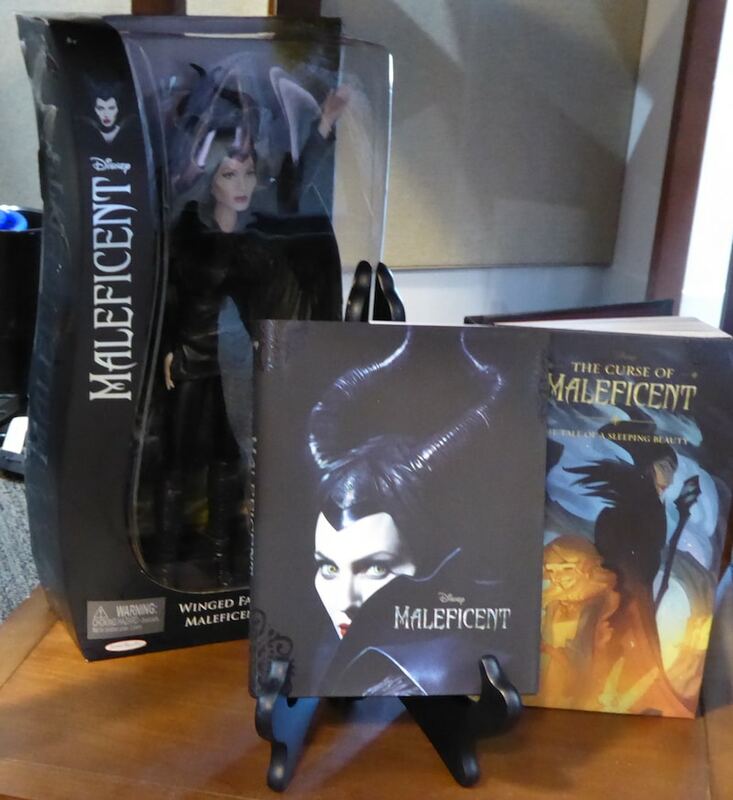 Besides falling in love with the movie, Maleficent, I have fallen in love with the product line that Disney released to help support the film. I have a lot to talk about but I HAVE to start with the clothes. You know that’s where my heart and sole… I mean soul is. 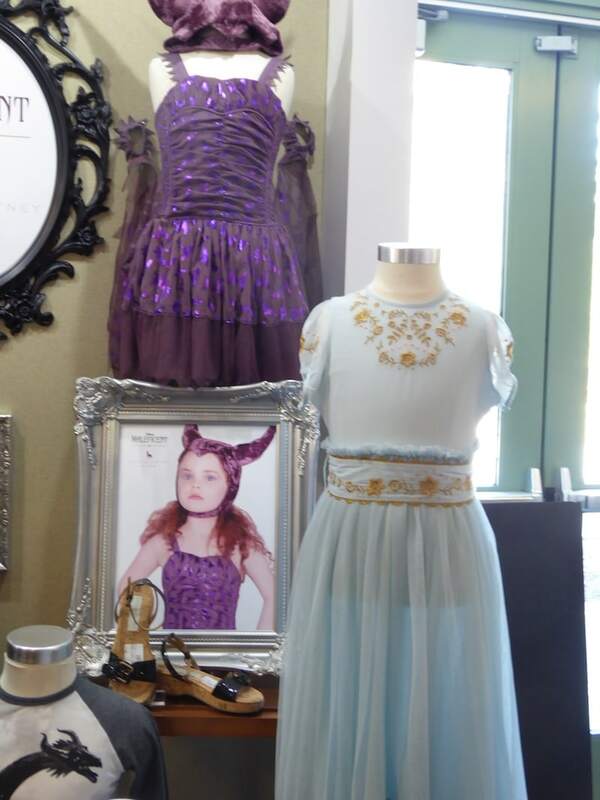 Check out these dresses that are the PERFECT costumes for Halloween. I KNOW that my daughter is going to want to be Aurora (and Maleficent but she is going to have to pick one) come October. 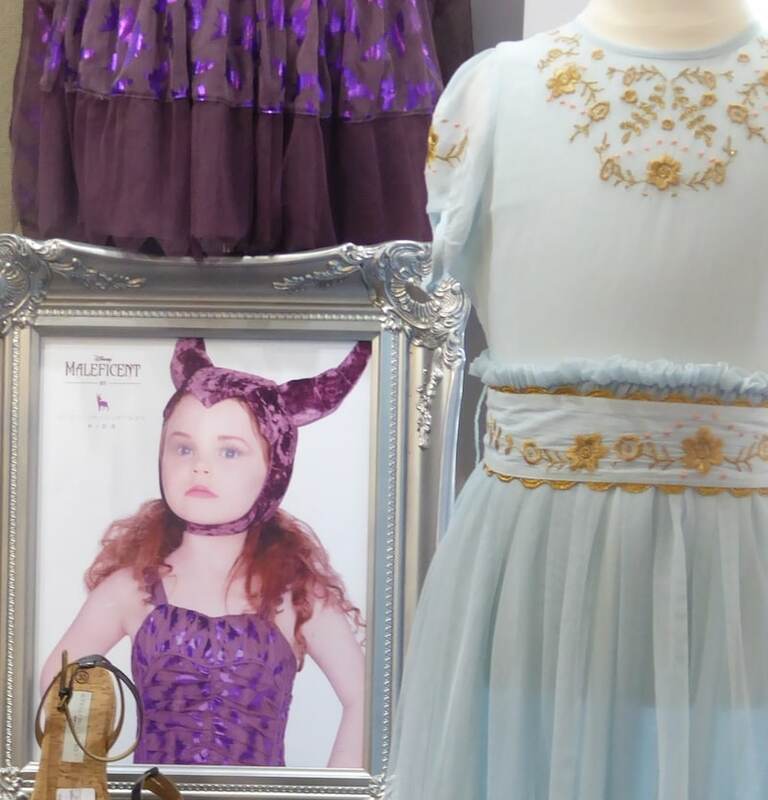 The purple and the blue dresses are from Stella McCartney Kids and you can see the designer’s touch in the detail. 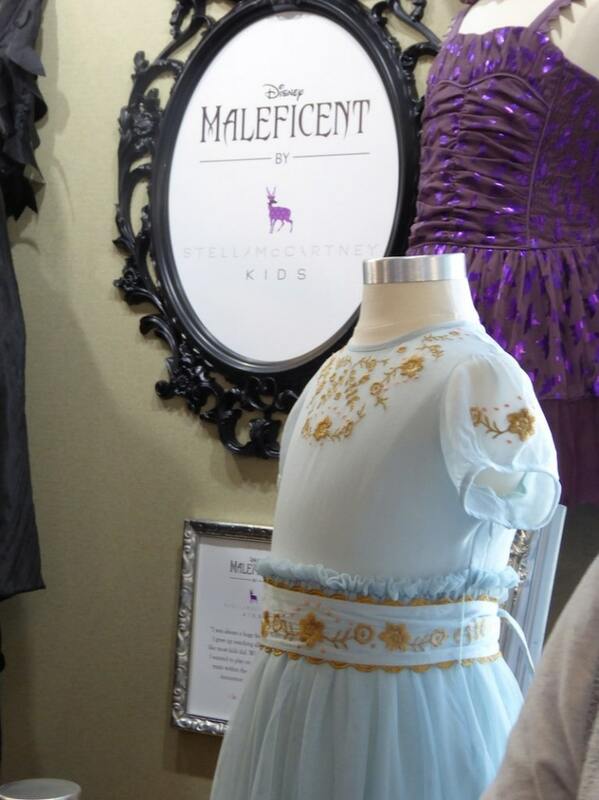 Absolutely stunning and kid appropriate. The horns are flexible and light, the material is free flowing and washable. Thank you Stella! Thank you! 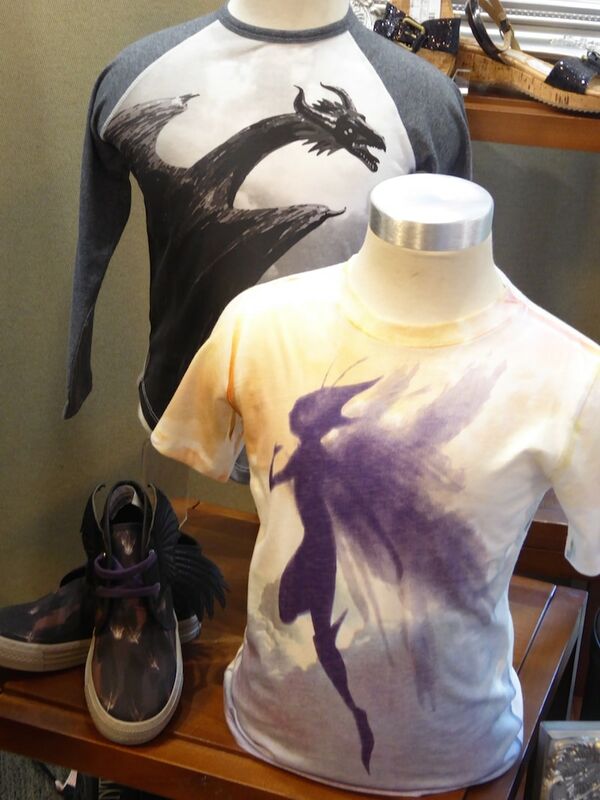 For big kids (ahem that means us too), there are t shirts and shoes to check out featuring both fairies and witches. I’ve actually seen some of these in Claire’s already. 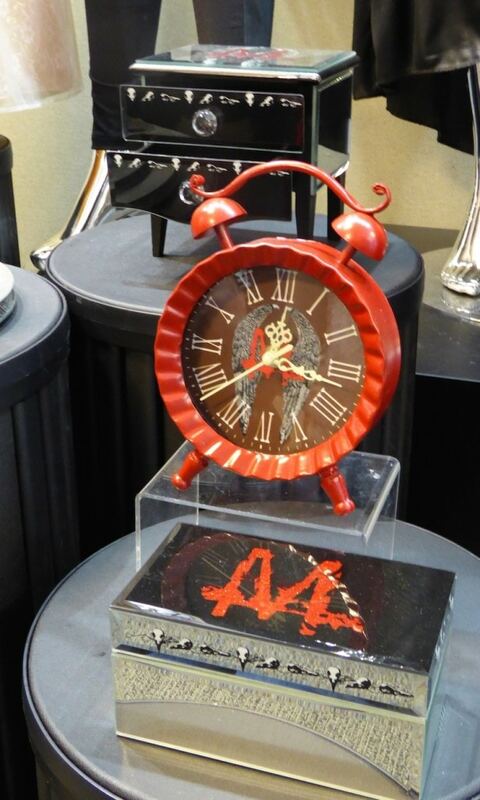 Be sure to head to your local mall to snag them while you can. Women have some black and bold pieces to take advantage of as well. Pay close attention to the faux leather trim detail. You can see the snakeskin clearly in the shot. It’s not just a sleeveless shirt – there’s oh so much more to it. But this dress is my absolute favorite of them all. 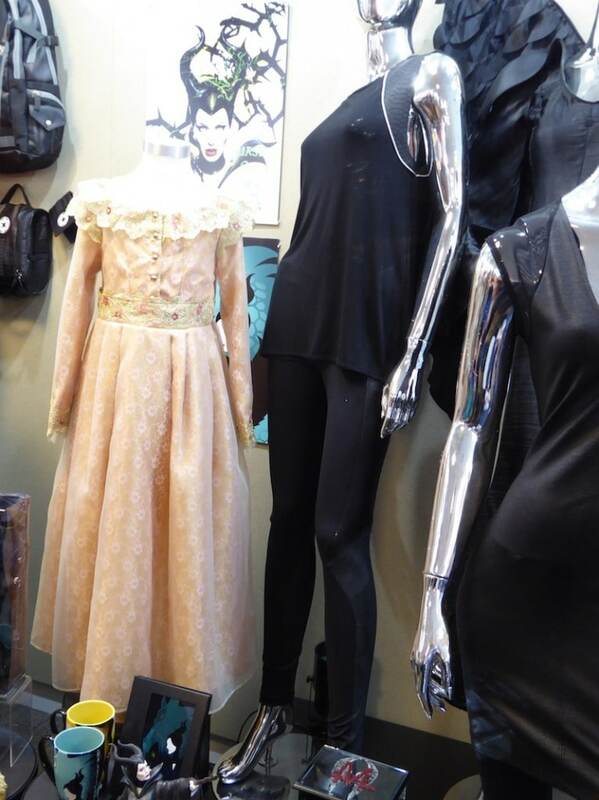 It represents a dress that Aurora wears in the movie during several scenes and the costume designers did an amazing job replicating the look and the feel. It looks and feels so RICH. I cannot tell you how amazed I was that Disney made this available to the masses. 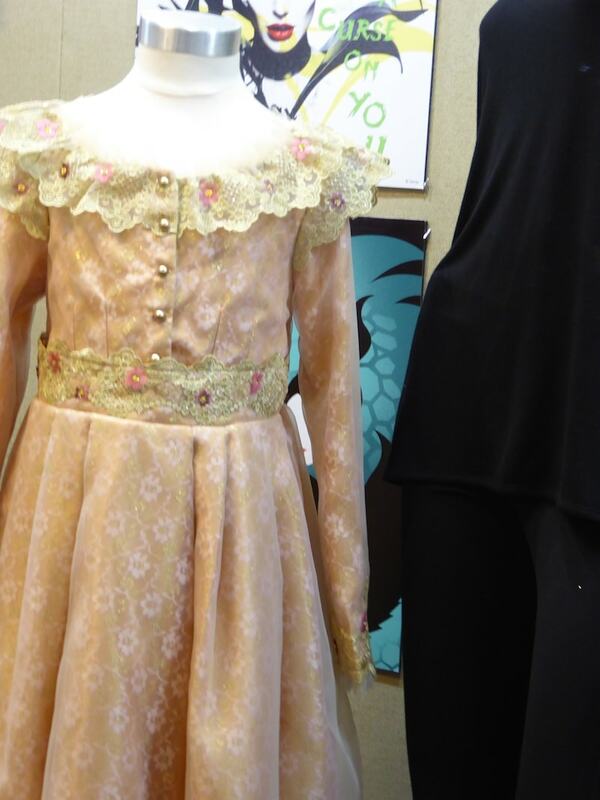 A dress fit for royalty! For sure. 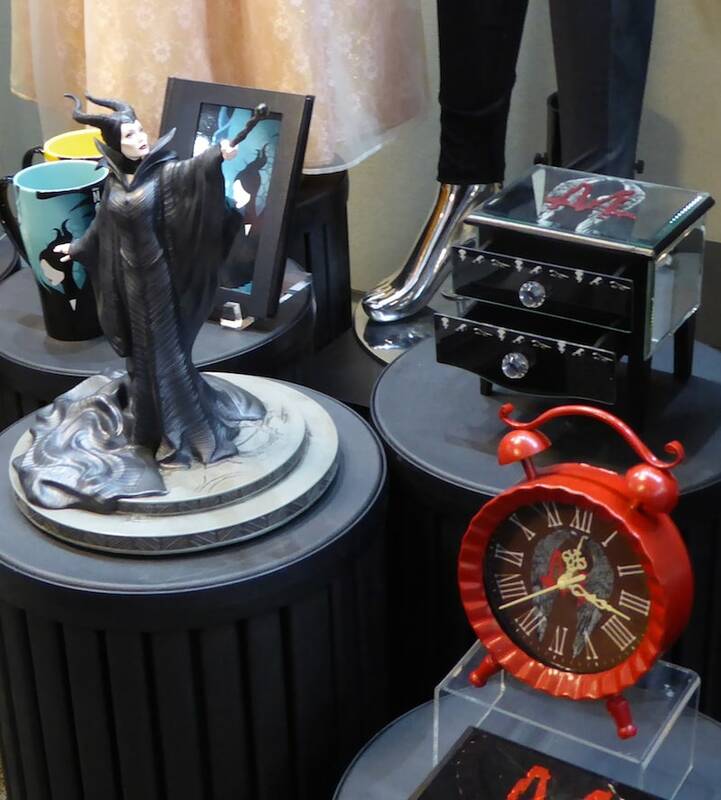 Play dolls and accessories are also part of the Maleficent product line. My daughter hasn’t let go of her Maleficent doll since the moment I landed! Just this morning she was reading her Maleficent book while waiting for the bus stop and the girls gathered around her in awe. They each were like, “you have a Maleficent book!!! !” One girl pulled out her ‘Charlie and the Chocolate Factory’ book in shame and said, “I only have THIS!” I almost died! hahahahahhahaha Oh yes… Maleficent is the new rainbow loom. Need I say more moms? That’s code for get on it.